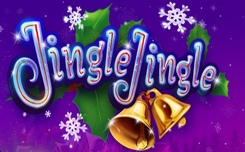 Welcome to the magical world of Christmas with the Jingle Jingle slot machine, released by Booming Games. If you like to celebrate Christmas, this video slot is for you. The Jingle Jingle has 5 reels, 30 lines. The Jingle Jingle slot offers you a two-way payment starting from the left or right side of the playing field. Santa – the image of a smiling man with a snow-white beard that brings gifts, is a wild symbol. The Jingle Jingle logo will help you activate free games. As soon as 3 or more Jingle Jingle logo appear in any order, the bonus function will be launched. 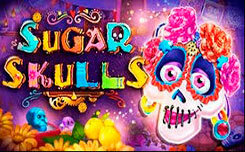 Within 10 free spins that are provided to you, all your prizes will be increased threefold. The developers of Booming Games created a wonderful holiday atmosphere of the holiday and prepared wonderful surprises for the players who decided to celebrate Christmas right now. Jingle Jingle guarantees you a festive mood with its colorful design and beautiful animation.